Now more than ever, equities desks are taking advantage of algorithms and electronic trading to navigate their way through volatile markets and low liquidity. With market conditions variable, I seem to be using more algorithms than ever. Am I alone? Not at all. Preliminary results from The TRADE’s Algorithmic Trading Survey 2012 suggest more traders are using more algos in more situations. Unsurprisingly, in response to such a widening diversity of application and a broadening of the church of users, providers are touting new and innovative wares, bringing increased choice and versatility to the electronic trader’s weaponry. But with tougher trading conditions, pronounced volatility and scarce liquidity, come reduced budgets for buy-side trading desks ever aware of cost – especially when there’s no end in sight for the hard times. Typically, this means using fewer algo providers and making algorithms work harder to get the job done. But that trend looks to be changing considerably, and market chatter suggests the larger buy-side houses are retaining more tools in their shed, not fewer. Instead of pushing a few choice tools harder, they now seem to want the best algo for any particular trade. But they want many to choose from. So what’s the most popular algo at the moment? According to The TRADE’s 2012 Algorithmic Trading Survey, of all the implements in the shed, opportunistic algos have continued to grow in popularity over the past 12 months. This largely came down to unpredictable conditions in Q2-Q3 2011 dictating people depart from old faithful industry standards like VWAP and POV in favour of algos which actively hunted for liquidity. Combined with a year characterised by low volumes, opportunistic algos simply made more sense. While algorithmic trading strategies were initially developed for large cap stocks where liquidity is historically easier to access, as the technology matured and as users became more comfortable with the greater sophistication of electronic trading, small cap algos have started to increase in popularity. Volatile markets and liquidity problems have led portfolio managers to search for alpha outside of the main markets and in response, brokers are providing them with algos fit for purpose. Customisation seems to be the trend. When developing and marketing their offerings, brokers are increasingly emphasising their ability to customise an algorithm for whatever unique requirements a buy-side firm may demand. But customisation takes many forms. While some buy-siders become sufficiently au fait with algos to tweak the dials to get the performance they want, others are utilising the execution consulting capabilities of brokers to design bespoke tools that require little or no tweaking on a day-to-day basis. Still others, we’re told, are taking the route previously pioneered by high-frequency traders and quant-based hedge funds – designing their own algos and just using brokers’ pipes to get to their venues of choice. 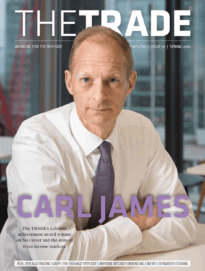 The TRADE’s 2012 Algorithmic Trading Survey – full results of which will be published shortly in our Q1 2012 issue – reflects the importance of ease of use, while almost self-evidently the ability of an algo to access liquidity at the best price remains critically important, with portfolio managers needing all the help they can get. With the volume and depth of execution data now available to the buy-side, perhaps the biggest challenge is using that ocean of numbers to refine their use of algos still further. 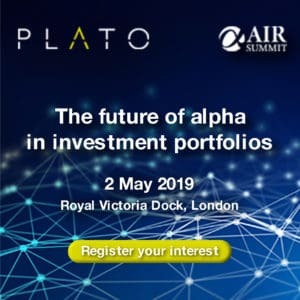 What algo/SOR developments should brokers prioritise? Click here to vote in this month's poll.